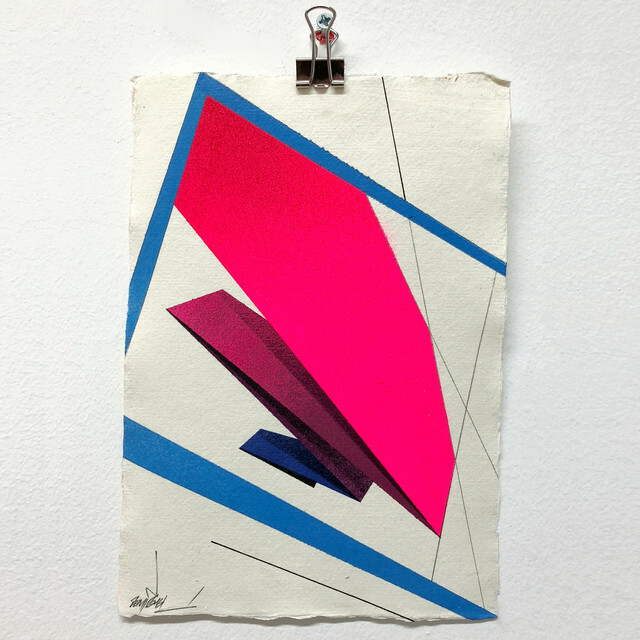 There are some brand new 'Neon New Wave' mini originals available from the online store. Each piece is delicately hand produced with graphite, ink and spray paint on hand made 150gsm cotton rag. 148 x 210 mm / 5.8 x 8.3 in (Approximately A5).